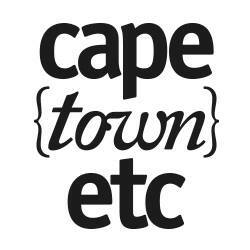 Every summer, beachgoers flock to the Cape seaside for sunlight, socialising and swimming. And while most of us will ensure we’re wearing sunscreen and have left all of our valuables at home, there are other safety concerns that haven’t been considered: swimming too far from the shore and coming into contact with some of the inhabitants of the ocean, for example. And although it’s unlikely you’ll be attacked by a shark, there is still a possibility of this happening. especially on crowded surfing beaches. And in the event of such an incident, the first response is usually the search for and culling of, these fish. This is why we recommend you download a new Smartphone app called Shark Spotters, available for free on Android and iOS. 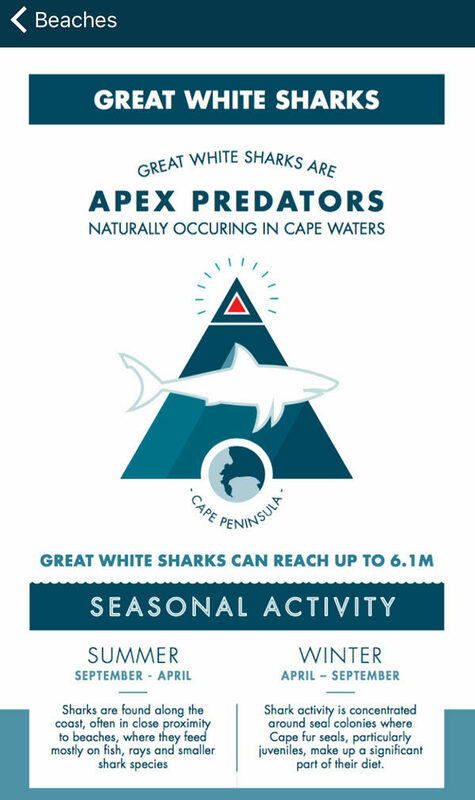 Shark Spotters was created and named after an organisation formed in 2004 with the aim of protecting swimmers and, in turn, conserving the population of white sharks found along the Cape coastline. 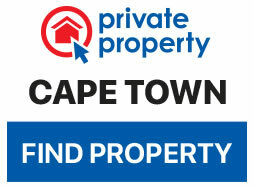 The app features regularly updated information on the nine Cape Town beaches monitored by Shark Spotters. 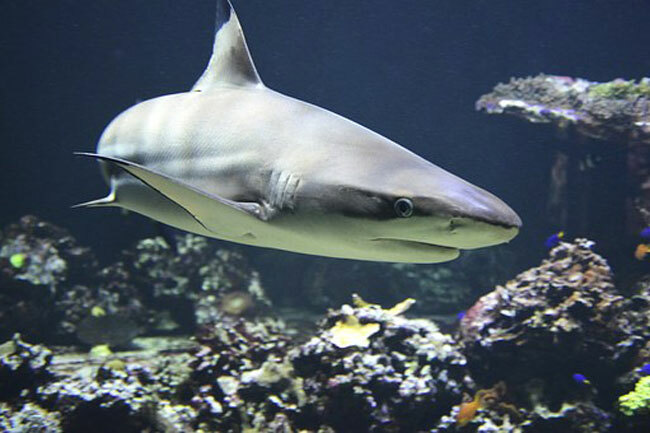 It includes weather conditions and tide times, what facilities are on offer, the beach’s last three shark sightings and other marine activity, and whether or not a lifeguard is on duty. There’s also a surf cam for each beach, which you can use to see what conditions are like before making the trip. 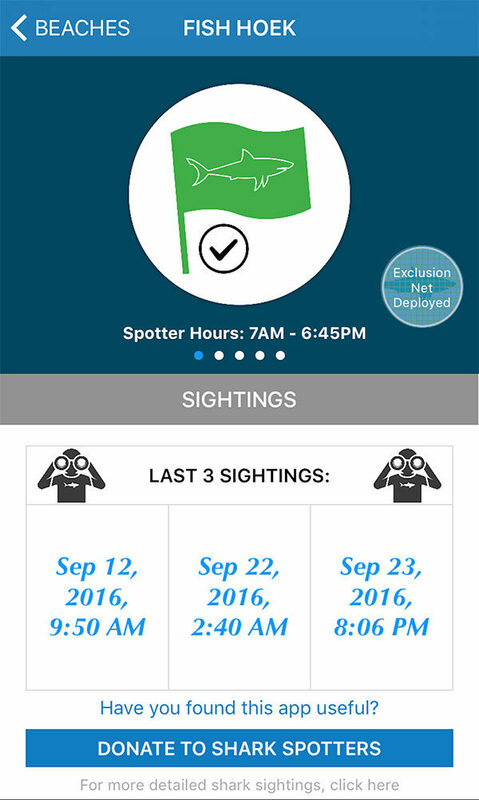 Shark Spotters also incorporates the flag system into the app. Depending on the colour of the flag on display (green, red, black or white), you’ll know whether shark spotting conditions are good or not, if there’s a high shark alert or if a shark has indeed been spotted. You’ll also receive notifications when a shark has been spotted at any given beach. Also included are general safety tips about swimming in the ocean, and information regarding great white sharks and shark bites. Keep yourselves safe this holiday by downloading this efficient and easy-to-use app – you’ll not just be protecting yourself and your loved ones but also helping Shark Spotters maintain the shark population in South Africa’s waters.